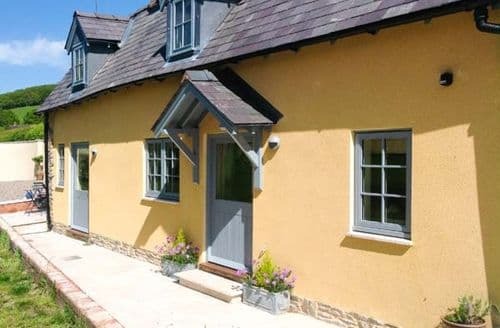 What our customers are saying about our Holiday Cottages In Bucknell To Rent. "The interior is beautifully appointed giving it a very homely, traditional feel with all mod cons. 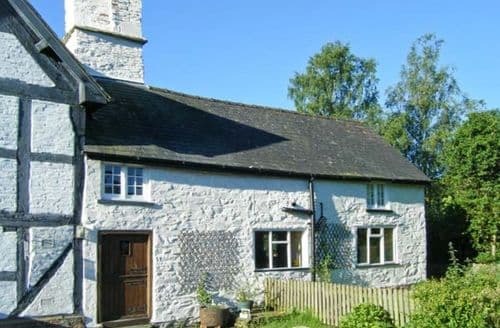 The dressing room and well equipped kitchen with washing machine are particular bonuses for a small cottage. Yes you have to take care upstairs with the low beams, but after one or two bumps you soon learn to duck in the appropriate places ! The views from the cottage and outside sitting areas are outstanding. If it's peace, quiet and a country escape you're looking for you will definitely appreciate Lealands. The owners are a lovely couple who have created a gem of a place. Would highly recommend.A well appointed cottage , thoughtfully presented every thing to a good standard . The views were amazing and an ever changing scene day by day . The hosts were helpful and everything was as promised . The walk to the local pub was easy and the food and drink choice to suit all. Very handy to plenty of towns and villages . Would stop here again .Cottage was immaculate & had everything you need for a lovely holiday. Hosts were warm & friendly .Shower over bath awkward and not for the immobile. The tranquility of the area overrode any of the misgivings. Totally relaxing.The owners on site were both very friendly and helpful while allowing us to enjoy our break in our own style. Well done. 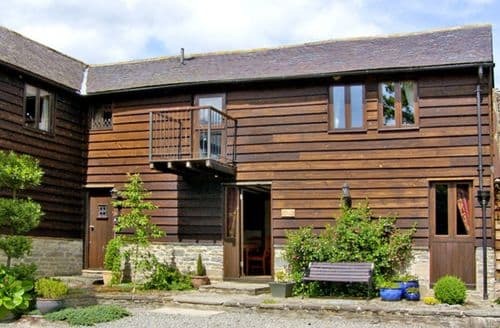 We will certainly recommend both Sykes and the cottage to our friends." "Stayed as a family with elderly parents and a well behaved dog. The place was very reasonably priced and some of the décor reflected the price. That saying, we had a great time, the place was comfortable and warm and cosy. The kitchen was quite well equipped , although they could do with a few baking sheets for the oven, The stairs were quite difficult for my old mum, who's not as agile as she used to be. The stair carpet is threadbare - it reminded me very much of a gite. Please be aware that dogs are only allowed downstairs. The bathrooms had good showers. The bedrooms are big with lovely views. The area is great for walks. Ludlow and Knighton are near- Knighton had a chipshop and takeaways. We visited the Sitwell Arms- dogs are allowed. We had the tasty carvery on the Sunday. 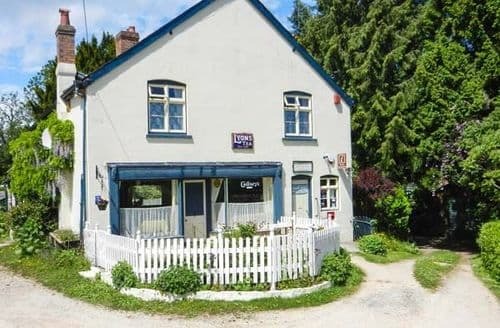 (we booked after visiting on the Friday and advised it gets booked up ) The 2 pubs and the tiny village shop are all a very short walk away. There are lots of games and books available- the tv hasn't all the freeview channels but it worked fine. The docking station worked fine too- didn't try the upstairs tvs .All in all we had a lovely time." 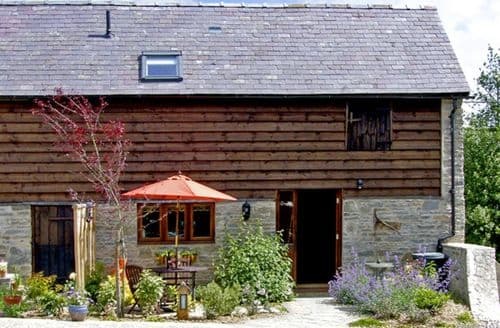 "A well appointed cottage , thoughtfully presented every thing to a good standard . The views were amazing and an ever changing scene day by day . The hosts were helpful and everything was as promised . The walk to the local pub was easy and the food and drink choice to suit all. Very handy to plenty of towns and villages . Would stop here again .Cottage was immaculate & had everything you need for a lovely holiday. Hosts were warm & friendly .Shower over bath awkward and not for the immobile. The tranquility of the area overrode any of the misgivings. Totally relaxing.The owners on site were both very friendly and helpful while allowing us to enjoy our break in our own style. Well done. 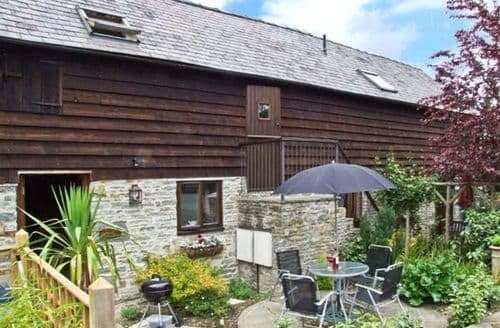 We will certainly recommend both Sykes and the cottage to our friends." 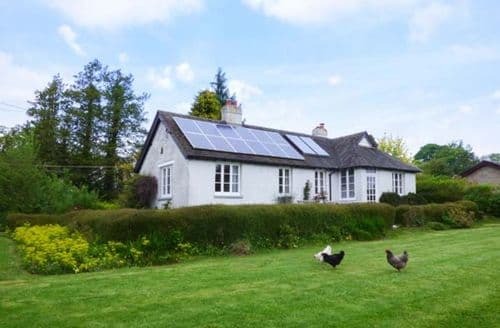 "This is without doubt our favourite holiday cottage for 2. The interior is beautifully appointed giving it a very homely, traditional feel with all mod cons. The dressing room and well equipped kitchen with washing machine are particular bonuses for a small cottage. Yes you have to take care upstairs with the low beams, but after one or two bumps you soon learn to duck in the appropriate places ! The views from the cottage and outside sitting areas are outstanding. If it's peace, quiet and a country escape you're looking for you will definitely appreciate Lealands. The owners are a lovely couple who have created a gem of a place. Would highly recommend." "A spacious, comfortable, and well equipped house, in a very nice, well-connected village. The villagers whom we met were welcoming and interested in our presence. The house has some drawbacks which reflect its varied history. It was obviously a village shop and the kitchen\dining room had the serving counter and shelves to show that former use. But it felt open to the public, with passers by seeing us at breskfast - never a pretty sight. And the sitting room, by contrast, was dark and cramped. All was forgiven in the face of our host's helpfulness and friendliness, and the beauty of rhe surrounding countryside."